What to look for when buying a used Toyota Corolla? The Toyota Corolla is one of the longest-running nameplates in automotive history, having been introduced in the 1967 model year. It soon became one of the world's best-selling vehicles and by mid-2013, 40 million Corollas had been produced. The Corolla is currently in its 11th generation as a model. The first-generation Corolla was introduced for 1967 as a compact sedan. It was redesigned for the 1971 model year and again for the 1975 model year. The more modern Corolla was introduced in 1980 and redesigned for a more American appeal in 1983. This began the "golden age" of the Corolla wherein the car began its reputation for extreme reliability and excellent fuel economy. The sixth-generation Corolla was introduced in 1987 and the seventh-generation in 1992. At this point, the compact Corolla began to grow in size and weight, becoming nearly midsized in 1995 (8th-gen) and continuing with that larger size until the 9th-generation in 2001. The last few generations of the Toyota Corolla have featured four-cylinder engines, manual or automatic transmissions, and ediger compact styling. The last two generations of the Corolla have been international in scope and design, broadening the car's appeal. Sales in the United States have topped 3000,000 units for a decade. Although the Corolla, like most toyota models, enjoys a reputation for reliability, there are model years where this is less the case than in others. The 2002-2003 Corolla is often cited for transmission failures at mid-level and high mileage (65,000 or higher). The 2009 model year has numerous complaints for engine issues. The Corolla otherwise as a better-than-average reputation for reliability. What is the average price for Used Toyota Corolla? How many are for sale and priced below market? What Toyota Corolla model year and mileage can you get for your budget? Where does used Toyota Corolla rank in comparison to competitor vehicles? What Is The Average Price Of A Used Toyota Corolla By Model Year? What Is The Average Price Of Competitor Cars To The Used Toyota Corolla? What Is The Average Price Of Used Toyota Corolla In The Top 10 Cities? The Toyota Corolla has been a mainstay compact sedan for over 50 years. The Corolla's appeal lies in its roomy interior, reputation for excellence, and utilitarian nature. The compact sedan market has become heated, however, and the 2018 Corolla is up against some stiff competition. For the 2018 model year, the car carries over largely unchanged from the updates made last year. Those changes added some desirable safety equipment and upgrades to technology. For this year, the 50th Anniversary Edition trim point has been dropped. Compared to most in the segment, the 2018 Corolla has high-end standard safety equipment that's only rarely available in the segment. It's also a fuel sipper by comparison and has a solid reputation for reliability. It does lack, however, is interior finish and performance. From almost the beginning, the Corolla has used the same formula for success: it's compact, front-wheel drive, and not very expensive. The 2018 Toyota Corolla has six trim levels, four doors (the Corolla iM hatchback is reviewed separately) and uses the same engine in all renditions. The Toyota Corolla is a rare vehicle where there is a wide chasm between those who love it and those who hate it. Any automotive writer will tell you the Corolla is soulless and not very fun to drive when compared to the competition. Owners will sing the praises of the Corolla's reliability and a long list of standard equipment. For the 2017 model year, Toyota has given the Corolla a bit of a nip and tuck, along with adding more equipment. After spending a week in it, we can say the 2017 Corolla isn't going to change the mind of either group. The 2016 Toyota Corolla continues the Corolla tradition of delivering simplicity and comfort in a value-oriented package. This five-seat sedan may not win any beauty contests or take any checkered flags at the races, but it's got one of the most upscale interiors you'll find in the segment. Add in the extreme attention paid to ergonomics for the new Corolla and this car becomes a required entry on anyone's comparison list for cross-shopping the compact segment. For 2016, the Corolla sees updates to its excellent Entune technology center and a new S Special Edition package. Through almost fifty years of sales, the Corolla continues to be a top choice today. The 2015 Toyota Corolla is the current rendition of a long-lived compact car model that was one of the first vehicle models from the Japanese company upon its entry into North America. This new generation was introduced last year and continues for 2015 with a strong value proposition. The Corolla has long been known for its very accessible trunk, smart interior, and strong value-oriented packaging. That continues now, with the 2015 Corolla featuring all of these things along with a roomy interior and upper-tier infotainment option. 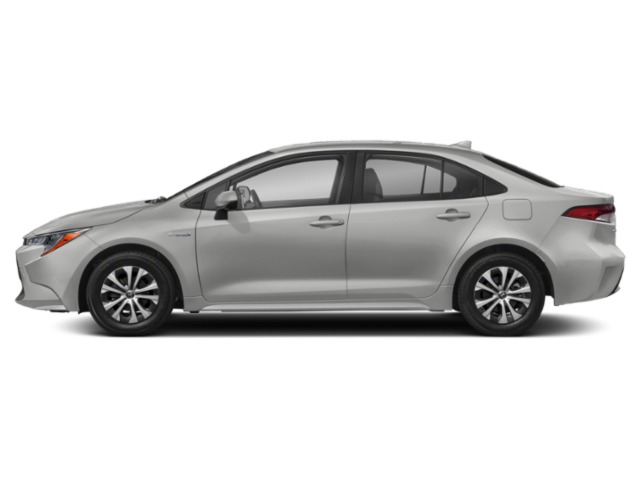 The 2015 Corolla may not be the looker some of its competitors are and it may not have the fun driving dynamics of sportier options, but it delivers on everything most compact car buyers want: versatility, economy, and value. This is not to say that we do not have some concerns about the Corolla, but it's still a solid choice in the compact arena. Most of the cars that we review here at iSeeCars.com are capable enough of being good enough to please most drivers and often times we find that the least expected models wow us and we fall head over heels in love. That, dear readers, did not happen during our time driving the at least disappointing and at worst the laziest engineering job in recent memory 2014 Toyota Corolla. Apparently we drove the sporty S version but only felt our desire to ever want to enjoy the act of driving being sucked from our chest, the luxuriously beige LE model, the LE Eco version which boasted one engine design enhancement so Toyota could boast 40 miles per gallon highway and the lowly $16,800 S price leader which comes with a four-speed automatic. Don't we recall Honda being raked over the coals for continuing with a five-speed automatic in the 2012 Civic? We guess Toyota, at times the largest and most technologically amazing car company in the world, isn't expected to bring much to the table anymore with its compact sedan. And to think, the Corolla nameplate is one of the longest lasting in the industry and should at this point deserve respect not only from buyers but also from the management at Toyota that so botched this latest redesign. But hey, if you don't care about the state of your everlasting soul, if the act of driving is something you feel should pain you somehow or outright reliability is seriously the ONLY thing you care about then by all means check out the 2014 Toyota Corolla line. All we can say is that after just one solid day driving the Corolla we wondered seriously if we really were all that into cars and driving. Thankfully we had a Mazda on hand to perform automotive resuscitation of us before we decided to join a monastery. The 2013 Toyota Corolla is the grandfather of the Toyota line; first coming out in 1966, it is in its eleventh generation of production. In 1997, it became the best-selling vehicle in the world, surpassing the Volkswagen Beetle. To date, more than 39 million Corollas have been sold worldwide and the 2013 Toyota Corolla is carrying on that tradition with pride. The redesigned Corolla is perfect for first-time drivers and drivers who need a tight turning radius. The smaller exterior dimensions and electronic steering make it more maneuverable than previous models. Sales have dropped steadily from 2006 to 2011, but that could lend more weight to the world economy than to the quality of the 2013 Toyota Corolla. On the other hand, as they say in the sales profession - numbers don't lie.